The 80L (18gal) Insulated Water Trough is designed with a thick layer of high density polyurethane insulation foam positioned between 2 polyethylene walls that maintain water at an optimum temperature in extreme climatic conditions. Animals access the water by pushing down on the white floats. Designed with a thick layer of high density polyurethane insulation foam positioned between 2 polyethylene walls. 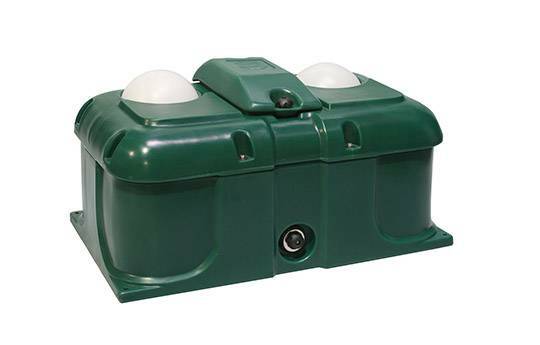 Water is protected between a secure chamber which can easily be opened by screws for servicing. Fitted with a float valve (36L p/min). Fitted with a large drain off plug (75mm). Easy to install and have 4 base fixing points for securing to the ground. With sufficient use and in the correct conditions the troughs can prevent water freezing in conditions as low as -25°. Does not require an electric connection unlike other freeze resistant troughs. Suitable for up to 40 cattle or 50 sheep/goats. Keeps water cool in warm conditions. Remove white floats for initial use so animals are aware of water source. 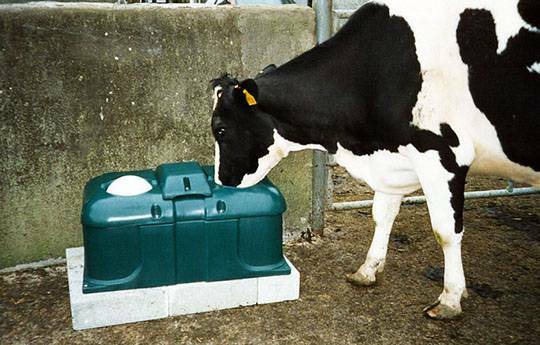 To work effectively troughs require a sufficient numbers of animals to access water regularly.